I took a class at Bay View Printing Company with my mom the other day. How could I not? It’s a beautiful little print shop right in my neighborhood. 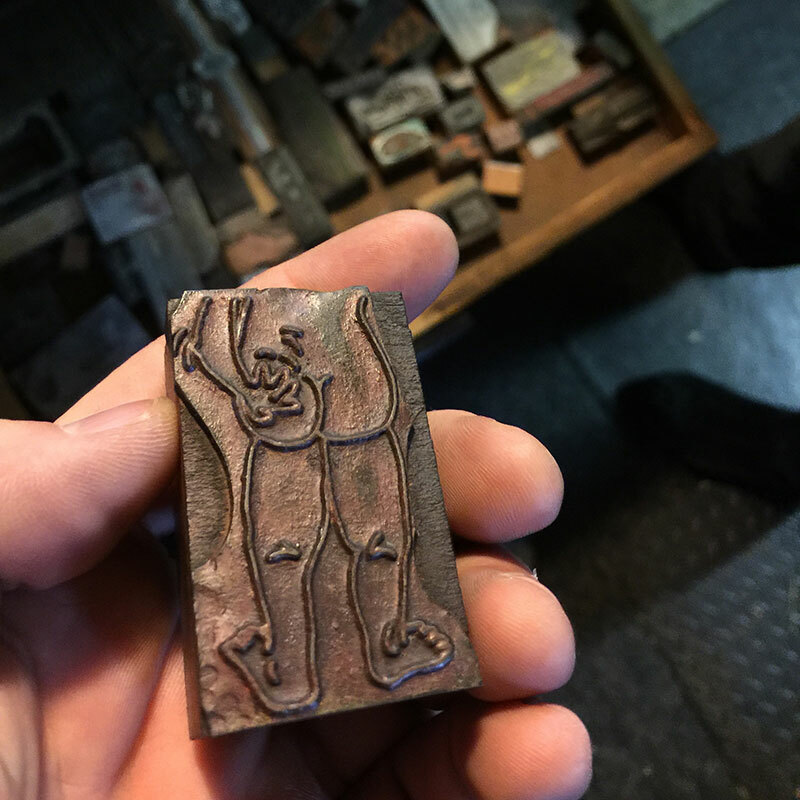 I’m a designer with plenty of print experience, but almost none in letterpress, so it was a great opportunity to see the place and learn through making. We took the sketchbook-making class, so our end product was a front-cover and back-cover of a sketchbook printed on chipboard, with five signatures of blank pages inside. We bound the book ourselves with a stitching technique we were taught by Ashley Town, our teacher and (owner?) of the place. I like how they are approaching the business. Using what they have to the fullest! They print their own art and sell it. They have a pretty extensive collection of wood and metal type (and symbols and flourishes and stuff). We explored that, came up with an idea, and laid out type to form our designs. Then we learned about how to lock up the design with furniture (blocks of wood, lower set than the type) so the design stays stable and can be clamped together for printing. Then we inked up and printed! I ended up making a design based on one of my favorite quotes. Thanks Ashley for the lovely time! I joined as a member shortly after and I’m looking forward to going back to try some more stuff.